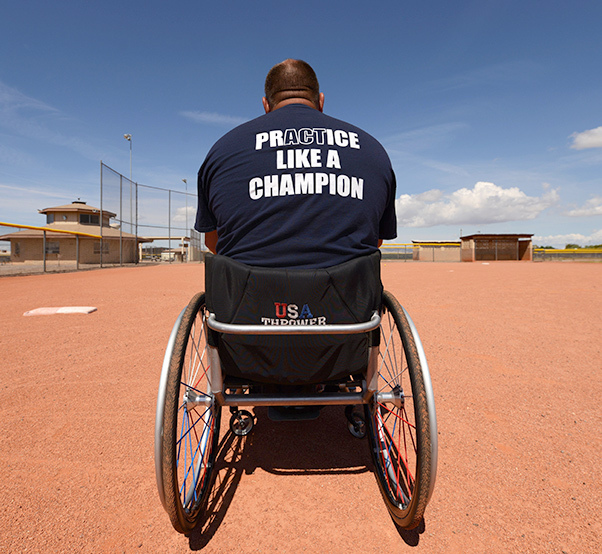 Luke Air Force Base, Ariz., hosted U.S. Paralympic Military Program track and field training camp at the Bryant Fitness Center May 9 to May 11 in preparation for the Desert Challenge Games at Arizona State University. The paralympic athletes utilized a softball field for training as well as the Bryant Fitness Center for conditioning work outs. There are certain stigmas which come with physically disabled or impaired people, but this event is about putting those stigmas to rest. 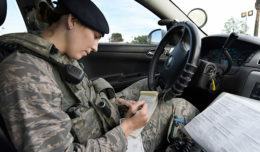 Christy Gardner, 2017 Paralympics competitor, receives coaching May 10, 2017, at Luke Air Force Base, Ariz. Over 60 volunteers from Luke AFB came together to support the track and field camp held on base as well as the 2017 Desert Challenge Games at Arizona State University on May 12 and 13. Some of the competitors have trained here over the past years. Wishnia came back from a deployment in 2012 with an injured leg which severely impacted his career. 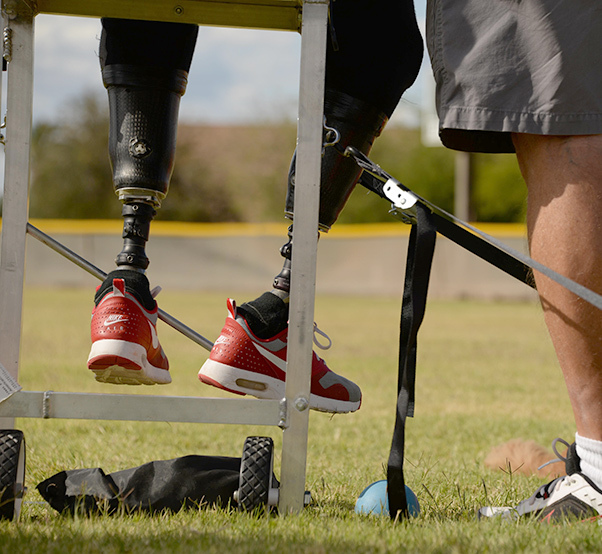 Scott Winkler, 2017 Paralympian competitor, prepares for training May 10, 2017, at Luke Air Force Base, Ariz. Winkler is a Paralympian competitor in the shotput and discus. After Wishnia’s dog saved him, he got her trained to be his service dog as well. On May 12, Wishnia set a new national record in discus throwing with a distance of 40.9 meters, beating his previous national record held at 39.7 meters. 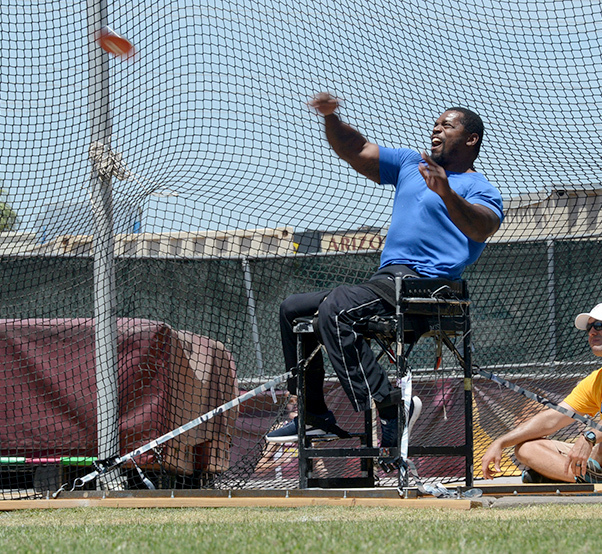 Retired U.S. Army soldier Johnnie Williams, throws a discus during the Desert Challenge Game May 12, 2017, at Arizona State University, in Tempe, Ariz. The games included discus throw, shot put, javelin toss and more. 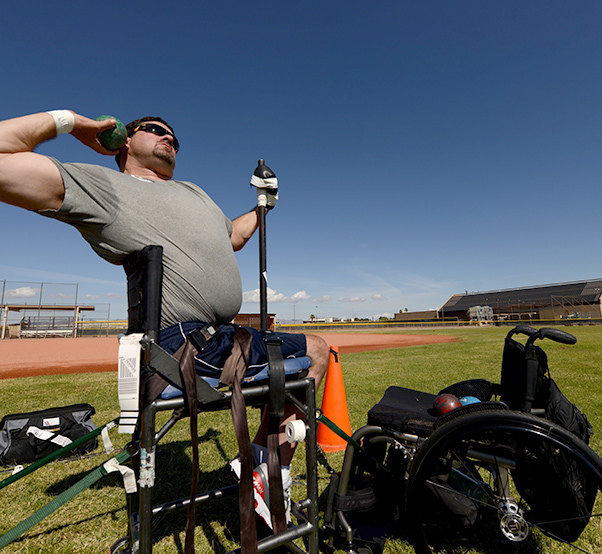 Scott Severn, 2017 Paralympian competitor, prepares to throw the shotput into the air May 10, 2017, at Luke Air Force Base, Ariz. Severn is a three-time Paralympic competitor and a two-time Paralympic medalist in the shotput. 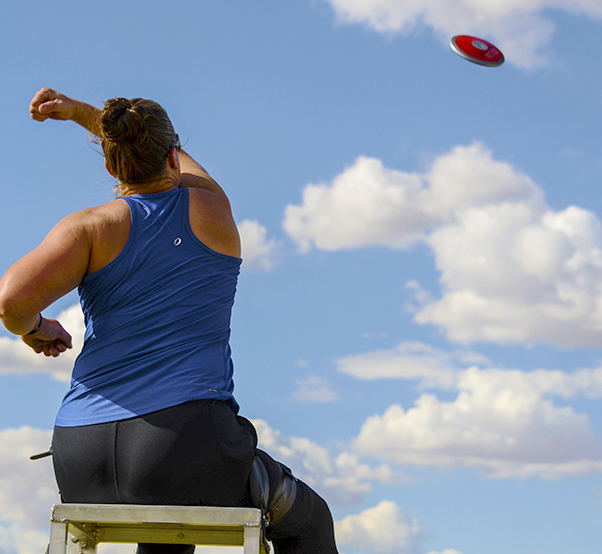 Christy Gardner, 2017 Paralympics competitor, practices throwing a discus May 10, 2017, at Luke Air Force Base, Ariz. Luke had the opportunity to help U.S. and international male and female athletes with permanent physical disabilities that are interested in competitive athletics. 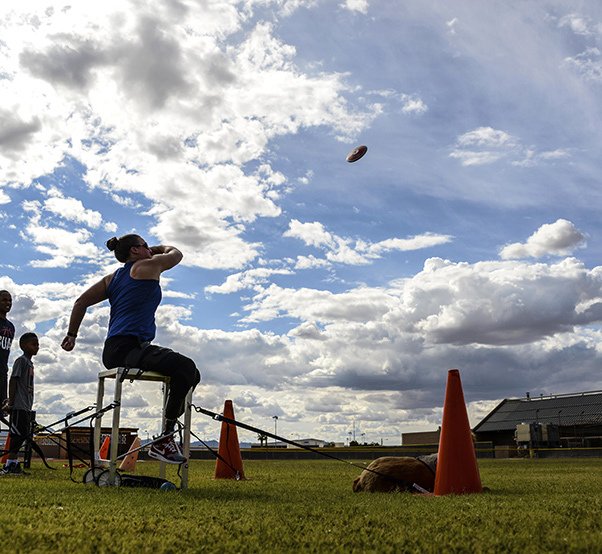 Christy Gardner, 2017 Paralympics competitor, practices throwing a discus May 10, 2017, at Luke Air Force Base, Ariz. Luke AFB and the 56th Force Support Squadron supported and hosted U.S. Paralympic Military Athletes for a track and field training camp prior to the Desert Challenge Games at Arizona State University in Tempe, Ariz.